Chilterns Food Magazine is a monthly magazine dedicated to showcasing the very best of local food here in the Chiltern Hills. It is produced by a group of young and passionate local people, learn more about them below. After enjoying a number of food writing trips visiting producers from around the UK and beyond (writing for Olive Magazine, FoodyTraveller and GrowEatGather), Hugh decided instead to champion the producers a little closer to home, and tell the culinary stories here in the Chilterns. With a long-held ambition to be Matt Baker’s replacement on Countryfile, Hugh is never happier than when donning his wellies to talk to local farmers and forage in the woodlands, or trying various food projects at CFM HQ. A farmer’s daughter named after an apple, Katy grew up surrounded by the fabulous produce of the Chiltern Hills. Whilst studying in Scotland she was overwhelmed by the range of Scottish produce on her doorstep, from freshly caught lobsters to foraged mushrooms, and was inspired to learn more about food provenance. Determined to share her discoveries with fellow students she founded an award-winning food society. Katy went on to work as a private chef, cooking and eating her way around the world for several years. In 2014 Katy returned to the Chilterns to open the Wild Strawberry Café on her family’s farm in Great Missenden. She now adores creating ever-changing seasonal menus using homegrown and local produce. Natalie Thomson is a food stylist and cookery writer who trained at Leiths Cookery School in 2012 and graduated from Sussex University with a BA in English Literature in 2010. She has recently moved to the Chilterns but grew up close by and has always loved the diversity and quality that the Chilterns has to offer in Restaurants, Pubs and Produce. Throughout her career she has written and styled for many books, advertising campaigns and magazines, such as BBC Good Food and Waitrose Kitchen. She has also worked behind the scenes for many Nigel Slater series and The Great British Bake Off. She is always looking for new and exciting ways to use the seasonal produce around her as well as growing her own. Jamie was born in Gloucester in 1986 and grew up in Herefordshire, where he received an education in great food and fine art. He went on to study photography at University of Brighton and graduated in 2009, following which he spent more than three years as a chef working his way up the ranks. During this time he developed his eye for detail, presentation and understanding of food and its production. This experience left little time for freelance photography but he managed to do fit in photo shoots and editing on his days off, continues to inform his work even after leaving the kitchen, and now working as a freelance photographer, full-time. Mark grew up in Cornwall and would spend his weekends photographing the landscapes & people of his home county. It also meant that he was close to the prestigious Falmouth College of Arts where he achieved a BA Hons in Photography in 1999. After graduating from Falmouth he moved ‘up country’ & has lived in the Marlow, Watlington & Thame area ever since. 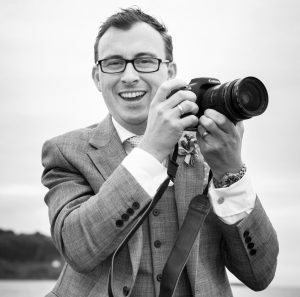 After working at a photographic studio in Marlow as Style Director & then as part of a partnership before flying solo he has been photographing Editorial, Weddings, Family Portraits & Business for the last 15 years. Would you like to contribute to Chilterns Food Magazine? Whether you’re a writer, a photographer or just someone who loves great, local food we want to hear from you.